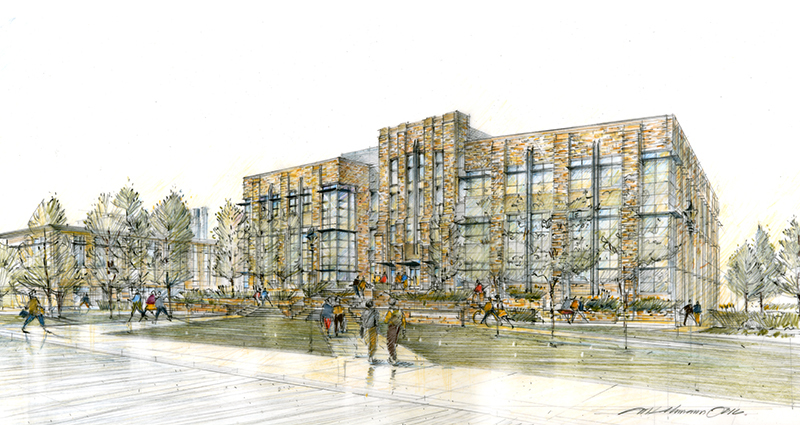 Learn more about the Engineering Education and Research Building (EERB). 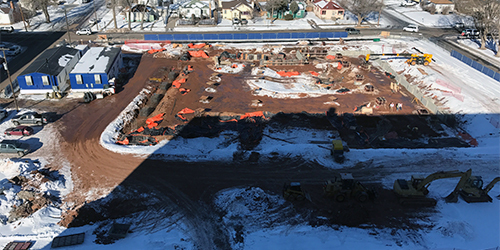 Download the renderings of all the spaces in the EERB (12 MB PDF) or check out the live webcam of construction progress. 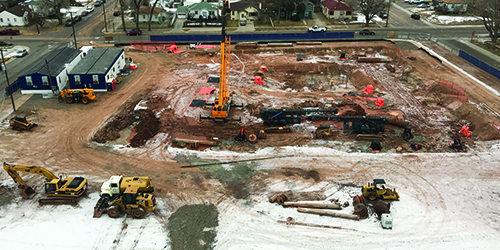 The project includes construction of a new engineering facility north of Lewis Street between 11th and 12th streets. 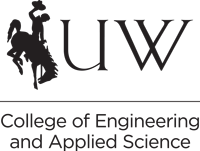 Part of UW’s Tier-1 Engineering Initiative, the project is intended to provide new spaces for modern instruction and research, including a new shop and student project areas; teaching and computer labs in an active-learning configuration; reconfigurable research labs with associated office and collaborative spaces; meeting/conference rooms; and an expanded drilling simulator facility. Designers and planners ensured this facility was very “student oriented,” with a variety of learning spaces and collaborative work stations. Note: ZGF associate partner and lead designer/project manager Corinne Kerr is a UW architectural engineering graduate. 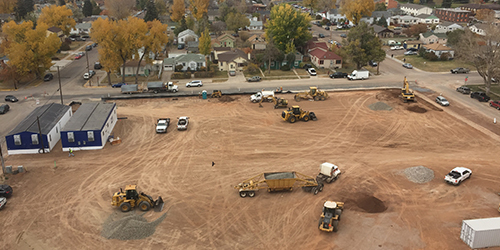 Prep work included earth moving, movement or removal of water, power, conduit lines and a lengthy process of acquiring property. 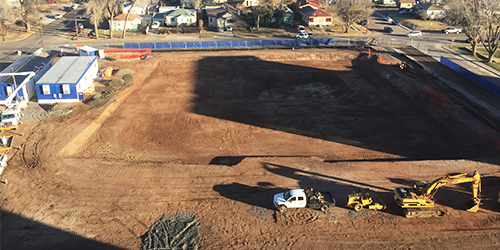 Some environmental remediation was required, along with normal site preparation and clearing.